I recently started reading ebooks again so expect my reviews from NetGalley to pick up for 2018. I requested this because I thought it sounded interesting and it coincidentally would count towards my Book Riot 2018 Read Harder Challenge. 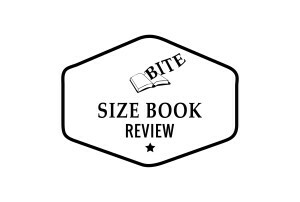 This counts for Task 20 – Book with a cover you hate. Thankfully, the contents are better than the cover. The students at the Whitfield Institute have various reasons for attending the school but they all want to learn some self-control over their powers. Most of the story focuses on Teddy’s first-year experience at the school. Teddy’s cut herself off from people due to her human lie detector abilities. At the school she gains friends and learns maintaining friendships is hard. A lot of the book is spent on the first semester of school and there’s some fast forward through to the end of the year so the pacing felt a little off. There are clues along the way on who is involved in the strange events but the author added an unexpected player which probably went over my head as I was focused on the characters we’ve been directly introduced to. Hopefully that’s not a spoiler. If you decide to read it, suspect everyone! 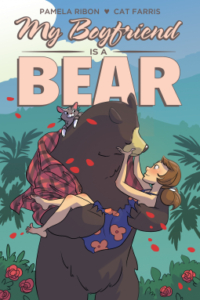 My book club has been reading Bear by Marian Engel. We have one copy and we write comments in it before passing it along to the next person. The final person finished it and last Friday we got together to do a final review complete with dramatic readings of the comments. As you can imagine, when I saw this title, I HAD to get a copy of it. I mean, first, it would be an inside joke with my book club. 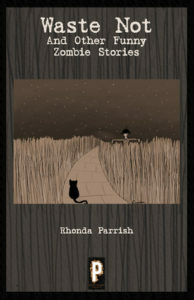 Second, the story is odd but the cover is… adorable? My boyfriend is a Bear isn’t a joke. It had some funny, and sweet moments. When it’s hibernation time, and Nora is left alone to face the relationship criticism from her family and friends, I felt so bad for her. I don’t know of many women who will say anything bad about a person’s partner while the relationship exists. She had her own doubts the relationship would survive the time apart and to have that piled on top of her was just crappy of her friends and family to do. What a lovely novel. It’s no wonder it’s been a New York Times Bestseller and was a 2014 National Book Award Finalist. Some of the choices are poetic. The novel focuses on several characters who have a connection to Arthur Leander. It flips back in time to decades prior to the pandemic and forward to present day which is 20 years after the world changed. In 2015 I did an All Hallow’s Read with my book club and when I saw this at Half Price Books I got a copy for one lucky person to go home with. Since then it’s been passed around for other readers to enjoy. A small group of VIPs and journalists has been brought to the zoo deep within China to see its fabulous creatures for the first time. Among them is Dr Cassandra Jane ‘CJ’ Cameron, a writer for National Geographic and an expert on reptiles. Naturally there are going to be comparisons to Jurassic Park and the author addresses these head on. I enjoyed the strong female character and the science was interesting. Overall, I kinda liked it. It was a bit of a mindless read in that you know one disaster after another is going to befall the group on the tour but on the other hand you had to figure out how they might be able to survive each disaster. 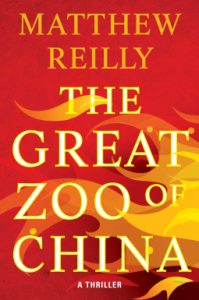 Born in Sydney in 1974, Matthew Reilly was not always a big fan of reading. Following this revelation, Matthew soon began creating stories of his own and set about writing his first novel, Contest, at 19 while still at university studying law. The cover caught my eye at Half Price Books. It was interesting. There were a few unexpected things like how the students arrive at the school and the topics the “Evers” and “Nevers” study. The ending was abrupt which wasn’t great. I did like the two main characters. If you’re looking for an amusing way to spend the weekend and like young adult novels you might enjoy this read. Former Michigan detective Adam Tatum receives an unexpected offer, a golden opportunity that seems almost too good to be true. He travels to 10 Downing Street to participate in a high-stakes conference. Immediately after his visit, a bomb detonates, wounding the prime minister and placing Adam Tatum squarely in the crosshairs of suspicion. 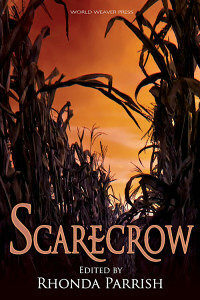 Sensing a setup, Tatum flees with his family, desperately fighting for survival in an unfamiliar country. The lives of his children, the future of his marriage, and the fate of a nation depend on Tatum exposing the conspirators who pegged him for a fall. Georgia Turnbull, the chancellor of the exchequer, and Davina Steel, the lead investigator, both stand to gain from the successful manhunt of Adam Tatum. But, as motives emerge and desires ignite, each must decide what they’re really after. 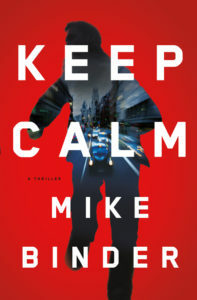 Layered plots, crackling dialogue, and propulsive action mark Keep Calm, the riveting debut thriller from award-winning actor, director, and screenwriter Mike Binder. I had high hopes for this but it just didn’t work for me. There were switches between points of view which took me out of the story. The plot was well-paced. Some characters fell flat but for many of them their motivations rang true to me. I finished this a few months ago and thought the main motivation for the bombing was spot on.